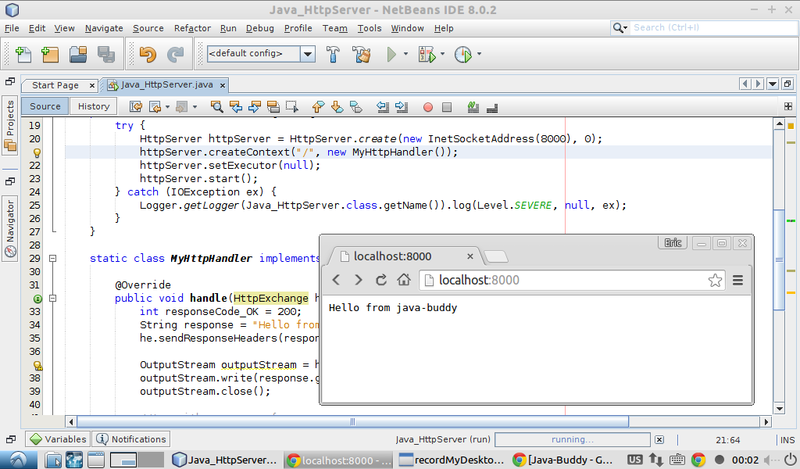 com.sun.net.httpserver.HttpServer implements a simple HTTP server. A HttpServer is bound to an IP address and port number and listens for incoming TCP connections from clients on this address. It's a simple example of using HttpServer. Next example show how to implement HttpServer to download image.